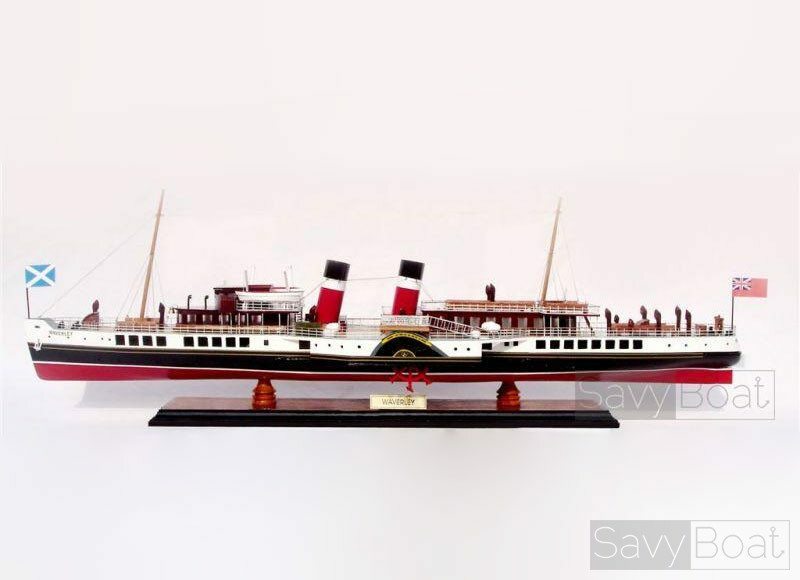 Since 2003, Waverley has been listed in the British National Register of Historic Ships core collection as ‘a vessel of pre-eminent national importance’. 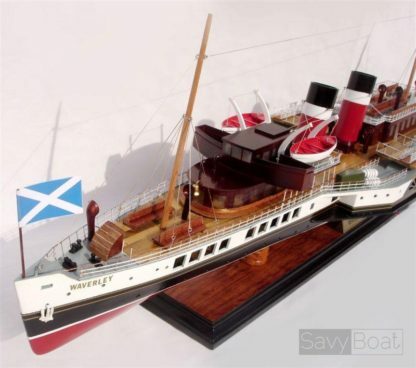 PS Waverley is named after Sir Walter Scott’s first novel. 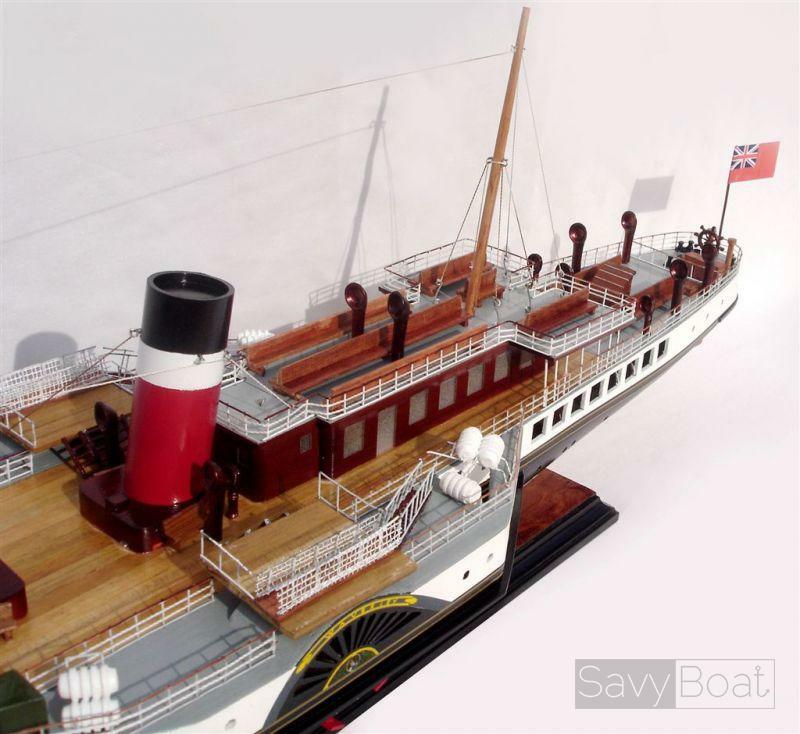 She was built in 1946 as a replacement for an earlier PS Waverley of 1899 that took part in the WW II war effort as a minesweeper and was sunk in 1940 while helping with the evacuation of troops from Dunkirk. 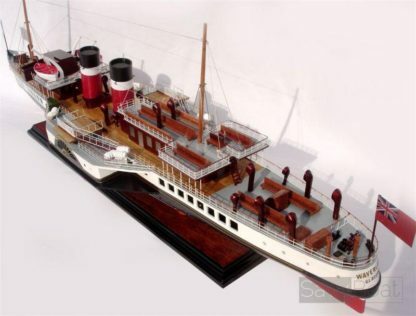 The new 693-tonne steamer was launched in October 1946 at builders A. 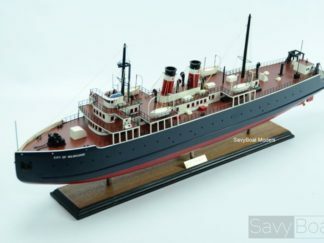 & J. Inglis, Glasgow, and entered service in June 1947. She was built for the London and North Eastern Railway to sail on their Firth of Clyde steamer route from Craigendoran Pier, near Helensburgh, up Loch Long to Arrochar, and in her first year in service she wore that company’s red, white and black funnel colours. 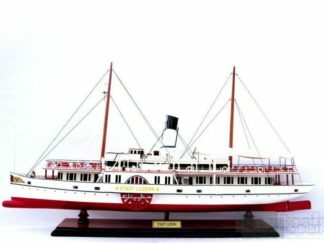 In 1948 nationalisation of Britain’s railway companies brought the steamers under the control of the Caledonian Steam Packet Company (CSP), a subsidiary of the Railway Executive, and the funnels were repainted yellow with a black top. 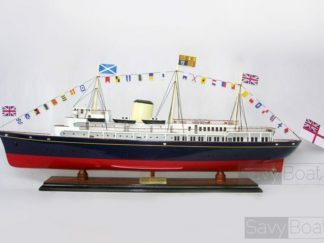 In 1965 a Scottish red lion rampant was fixed to each side of both funnels, and her hull was painted monastral blue until 1970. In 2009 the ship was affiliated with HMS Defender, having hosted the official dignitary party at Defender’s launch on the River Clyde. 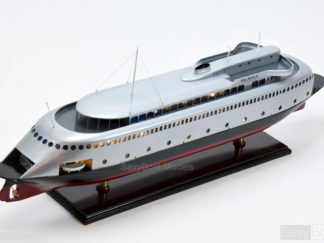 And in 2011 the ship was awarded the Institution of Mechanical Engineers 65th Engineering Heritage Award. Waverley at the Watt Dock, Greenock, for a day’s repair work on 13 July 2010, with MV Clansman in for more extended repairs. On the evening of Friday 15 July 1977 while returning from a cruise and approaching Dunoon pier, Waverley’s steering failed and she struck the rocks to the south known as ‘The Gantocks′. Firmly aground and down by the head the ship was extensively damaged. There was some doubt about whether or not she would hold together on refloating but she did, and she was repaired and returned to service. 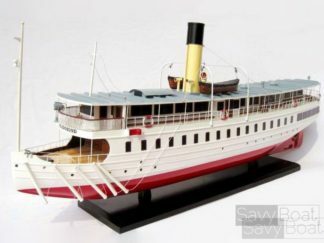 Her survival was attributed to her heavier than normal post World War II construction which had included provision for minesweeping gear and a deck gun in case she was ever requisitioned by the Admiralty for use in a future conflict. Today Waverley operates passenger excursions from a variety of British ports. She regularly sails from Glasgow and other towns on the Firth of Clyde, the Thames, the South Coast of England and the Bristol Channel. She also undertakes private charters and provides an authentic backdrop for television documentaries and movies such as 2011’s Sherlock Holmes: A Game of Shadows.